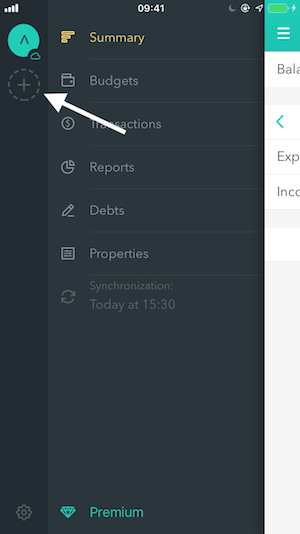 Moneon — a free finance app for iOS & Android 📱 F.A.Q. You also can find the following info in the app's Settings — Help — F.A.Q. iOS. To do so you should open the Menu and tap on the «+» button on the left side of the screen. Android. 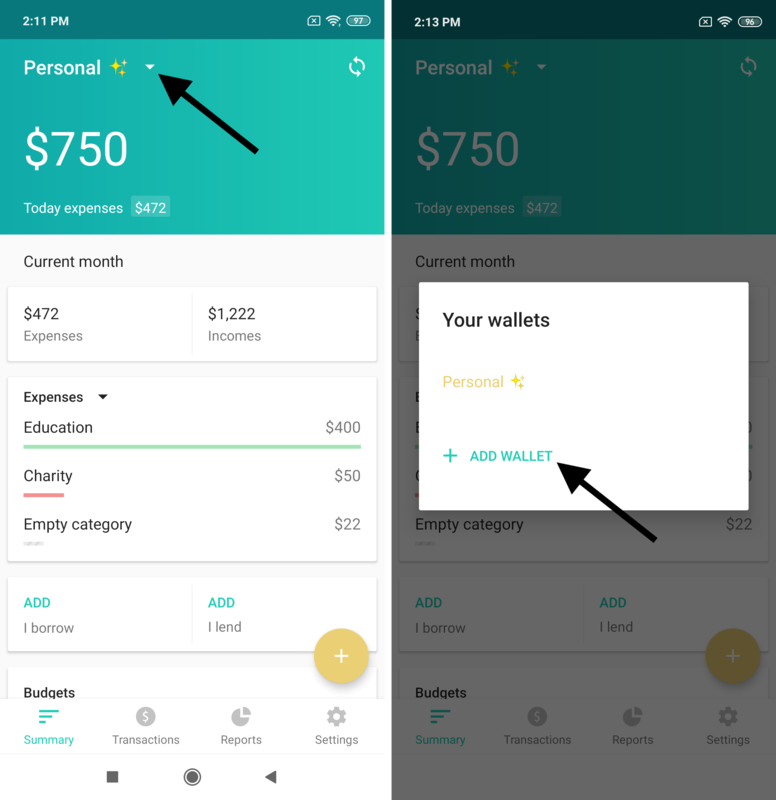 To do so you should tap on the wallet’s title on the Summary screen and then on the «Add new wallet» button. It is impossible to change the currency of the existing wallet so the only option here is to create a new one. 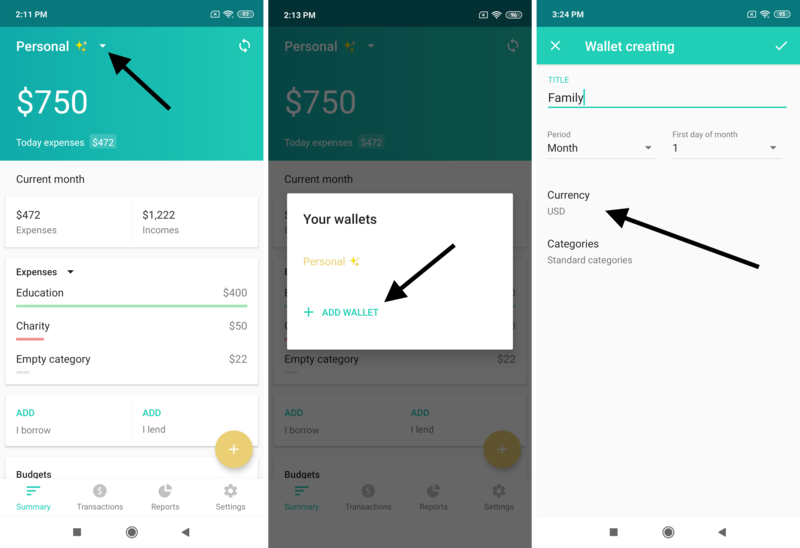 When you set up your new wallet, tap the currency section and pick the one you need. The balance appears right after you add your first income to a wallet. How can I edit the balance? Balance is the difference between all your income and expenses. Similarly to business, this is your profit. It’s a good idea to add current debts and savings to it. But how? iOS. 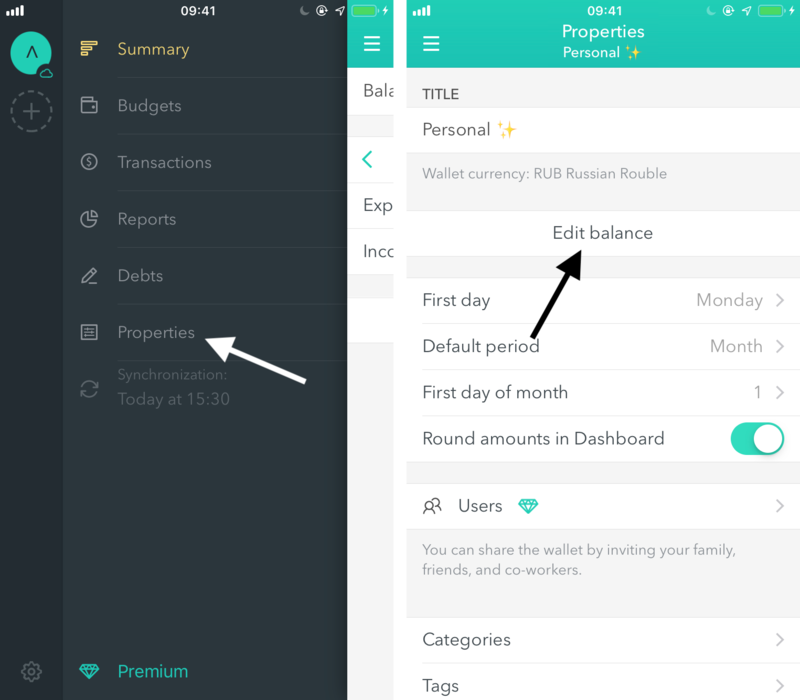 To do so open the Menu — Properties — Edit balance. 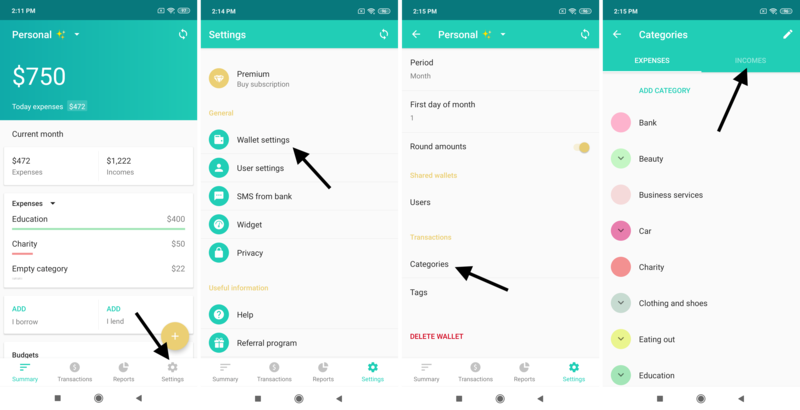 Why can’t I edit transactions of the second user in a shared wallet? At the moment there is one admin per wallet — its creator. Maybe we’ll add multiple admins support in future updates. 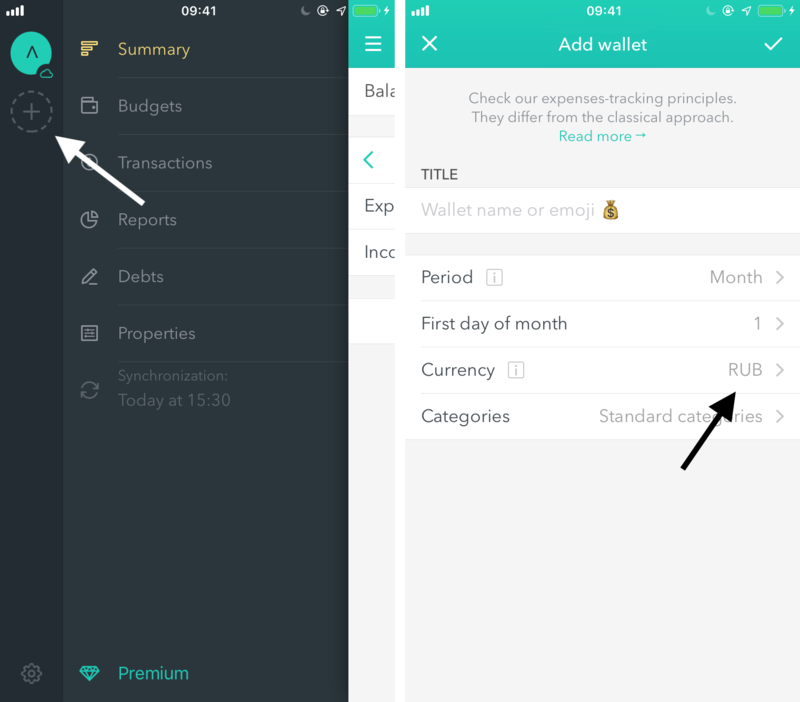 How can I make transfers between wallets? 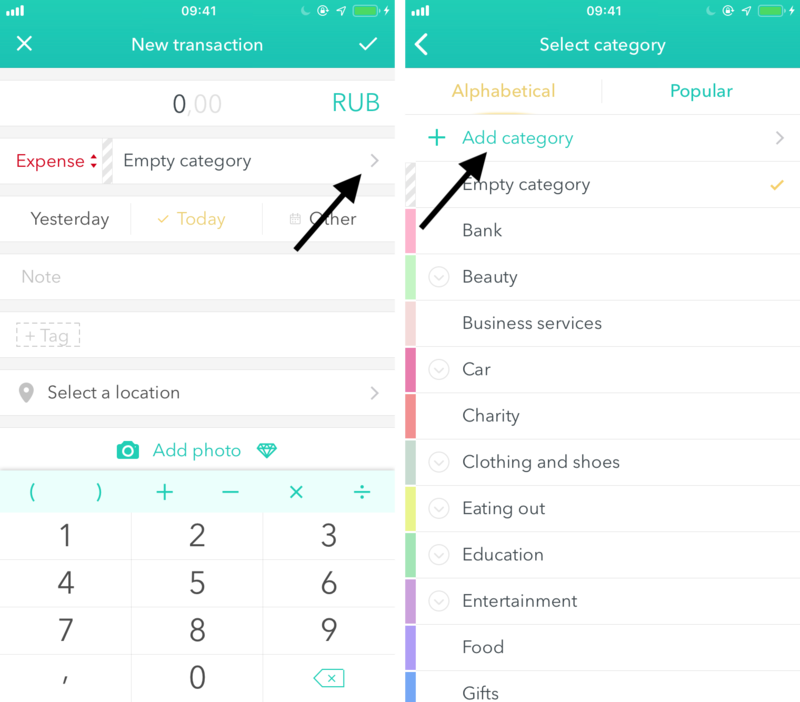 With categories, we’ve tried to make it as flexible as possible. 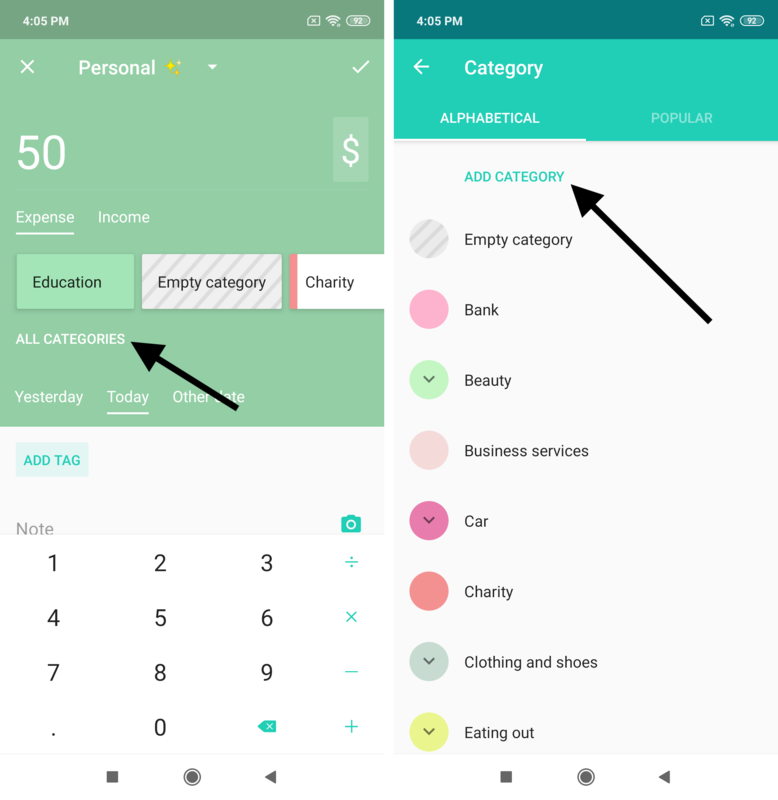 You can add as many categories and subcategories as you need. Sometimes dividing expenses by category isn't enough and you need to carve out a more specific segment. 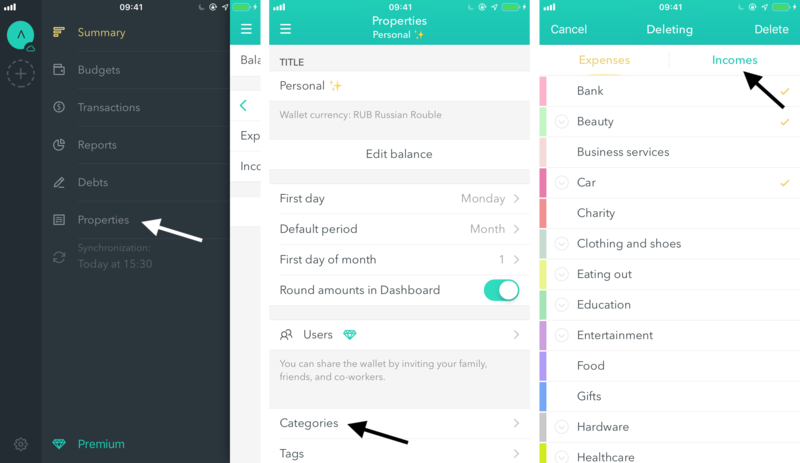 You can use tags to decide on your own how you want your expenses to be grouped. How to delete categories and tags? iOS. To do so open the Menu — Properties — Categories. Android. To do so open the Settings — Wallet settings — Categories. iOS. 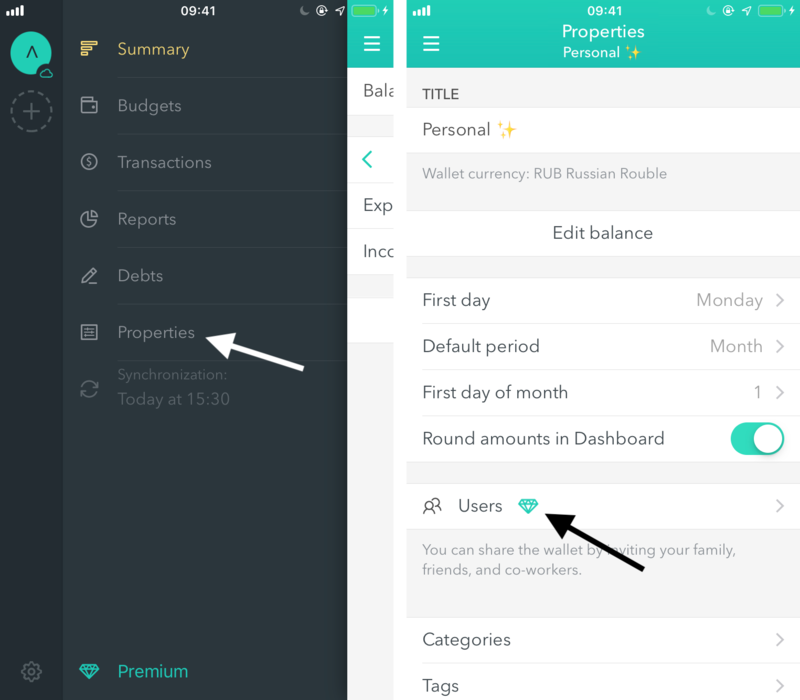 Income categories are in the Menu — Properties — Categories — Incomes. Android. 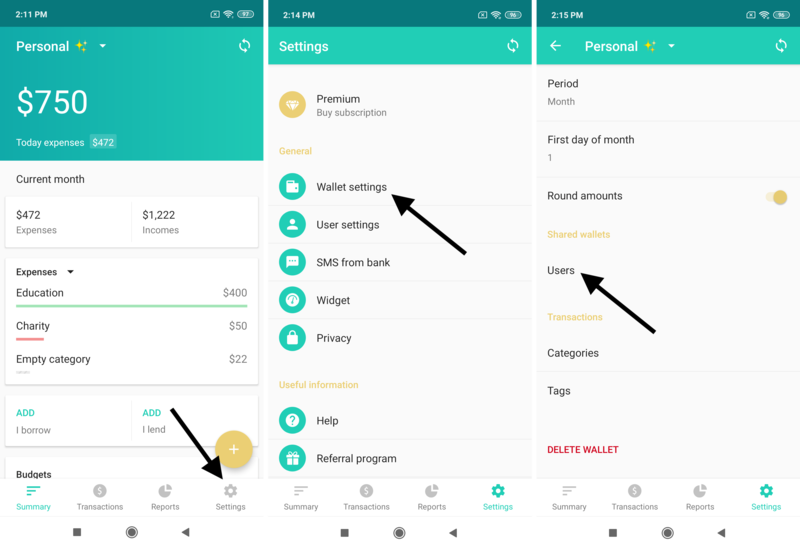 Incomes categories are in the Settings — Wallet settings — Categories — Incomes. Why doesn’t my purchased Premium work? iOS. Please, open iPhone Settings — iTunes & App Store — Apple ID — Subscriptions. 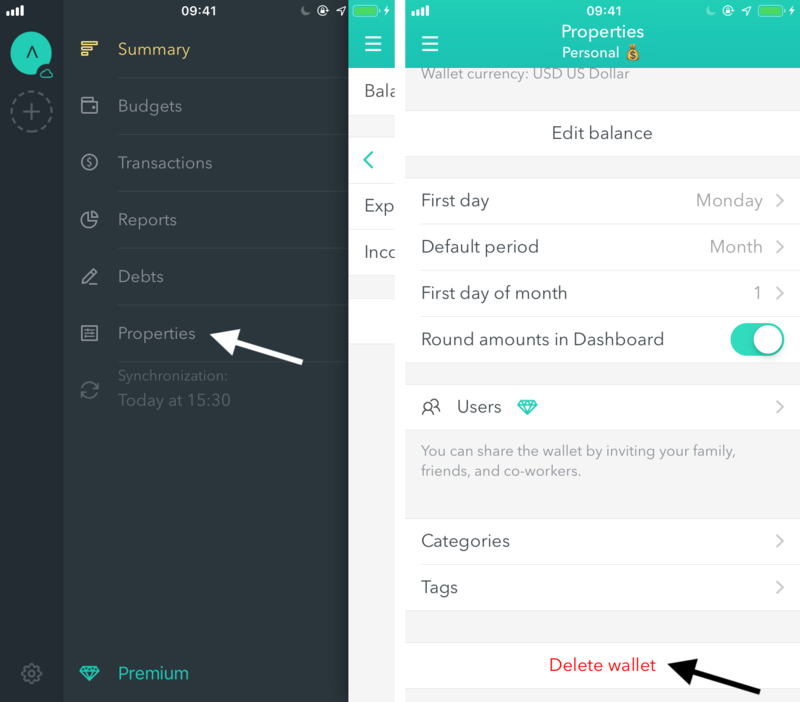 There will be our app and the «Cancel the subscription» button. Android. To do so open Google Play — Subscriptions — Moneon — Cancel the subscription. iOS. There should be a receipt in your inbox with the «Report a problem» button. Please contact Apple support team about the refund as all the payments are regulated by them and they'll help you. Android. You can contact Google support team from the Google Play’s Subscription section. If you have any questions please feel free to contact us via support@moneon.co and we'll help you!